Though Honeyrow just welcomed a new takeout window in Fishtown a couple months ago, the fast-causal stir-fry spot is scaling back its footprint in other metro markets. This month the Philadelphia-based business closed five locations, including three in Chicago, one in Washington, D.C., and its Minigrow location in New York, where the first storefront of the Honeygrow spinoff opened last year. 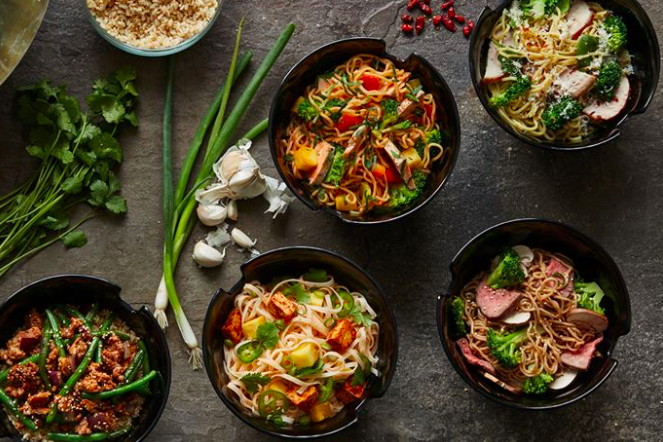 After the closures, Honeygrow will have 28 remaining locations spread among Pennsylvania, Maryland, Boston, Delaware, New Jersey, and Virginia. Eight of Pennsylvania's locations are in the Philadelphia area, with a ninth in Pittsburgh. Honeygrow CEO Justin Rosenberg said there are no more plans to expand Honeygrow locations at this point. “While we still plan to open restaurants in the future, we wanted to take this time to incubate our ideas to better fit those future locations and leverage our existing resources, such as our newly opened Test Kitchen in Philadelphia, to explore new ways on how to grow smart,” he told Nation's Restaurant News. “We came to the realization that we had some work to do, and instead of ignoring the challenges at hand, we made the difficult decision to close any locations where those challenges were most apparent. We believe that this will allow us the opportunity to take the time needed to truly perfect our operations from a training, culture, and performance standpoint." Honeygrow first opened in Philadelphia in 2012.